Valentine’s Day is right around the corner! 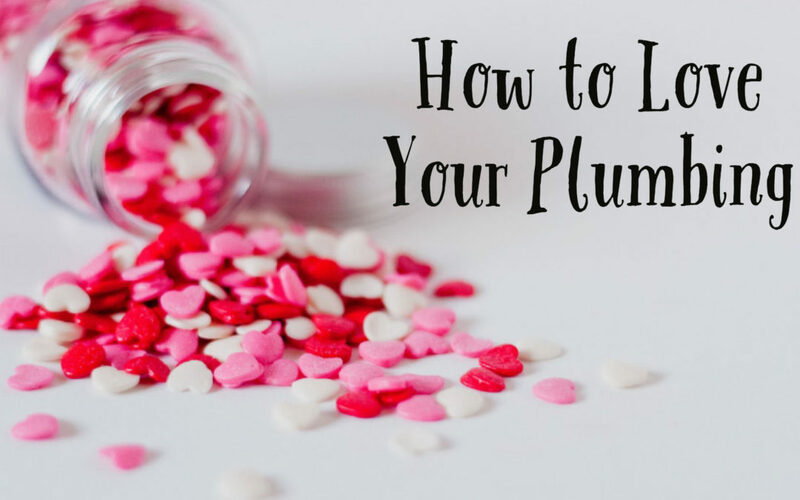 When shopping for your special someone, save some love for your plumbing. Seem odd? Well to keep your pipes in the best working order, you need to show them some TLC. Because February falls in late winter, there are some steps you can take to avoiding surprise plumbing issues. Here are some simple and easy home tips for a beautiful plumbing system. Insulate Plumbing Pipes – Adding pipe insulation can help you prevent frozen pipes, especially in cold parts of your house like the garage, basement and crawl space. Depending on the location of the plumbing, pipes can be wrapped in newspaper, foam, towels, etc. Crack Your Cabinets- When the cold dips below freezing, leave the doors of your sink cabinets open overnight. Exposing those pipes to the heat inside your home can make a big difference. Keep in mind that if you have any chemical cleaning supplies under your sink, keep it away from pets or children while you leave your cabinets open. Locate Your Water Shut Off Valve –Knowing where your main water shut off valve is located will help prevent water damage in an emergency. If you ever experience a plumbing leak, you will be able to quickly turn off the water to your home to prevent flooding and damage until a plumbing technician arrives. Correct Small Leaks – If you notice a leak, don’t let it go uncorrected. Even a small leak can make pipes corrode more quickly. Small leaks can lead to water damage and mold. Correcting a small leak now can save you from paying for a large repair later.